dance.net - Eire Designs dress made for Gavin's own dancer. (10246869) - Read article: Ballet, Jazz, Modern, Hip Hop, Tap, Irish, Disco, Twirling, Cheer: Photos, Chat, Games, Jobs, Events! 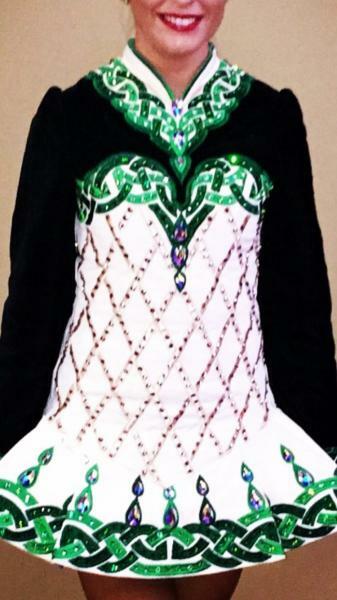 Eire Designs dress made for Gavin's own dancer. Full length from V: 28"
V at neck to V of skirt: 22"
Includes hairband, hair piece and pants. 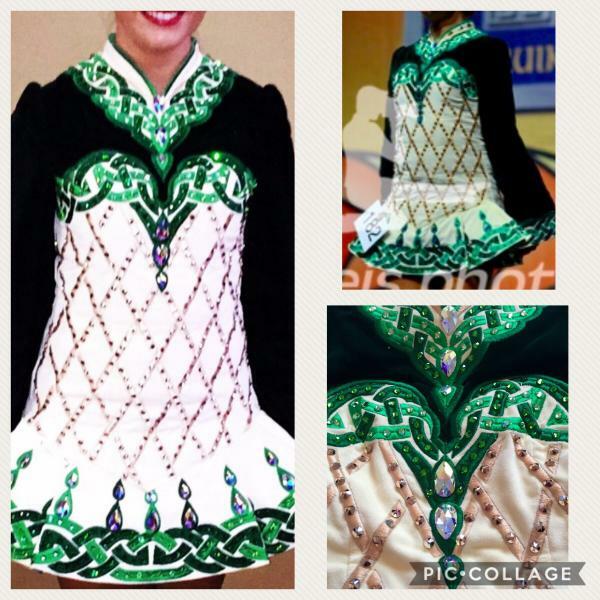 1 Replies to Eire Designs dress made for Gavin's own dancer. 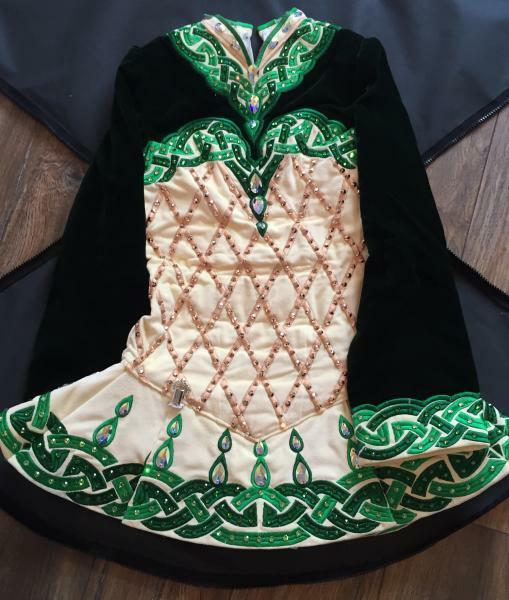 re: Eire Designs dress made for Gavin's own dancer.